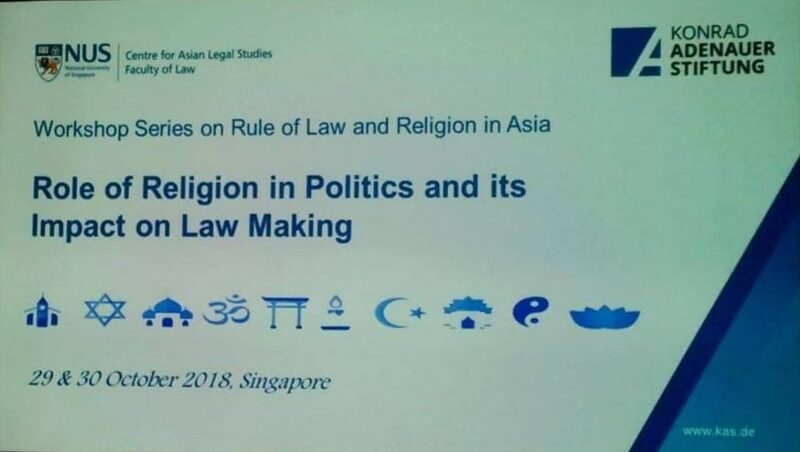 3 November 2018 – Dr. Robin Ramcharan analysed the role of youth interaction with religious leaders in constraining religious extremism during a workshop on freedom of religion or belief (FoRB), organised by the Rule of Law Program of the Konrad Adenauer Stiftung and its partners in Singapore, from 29 to 30 October 2018. 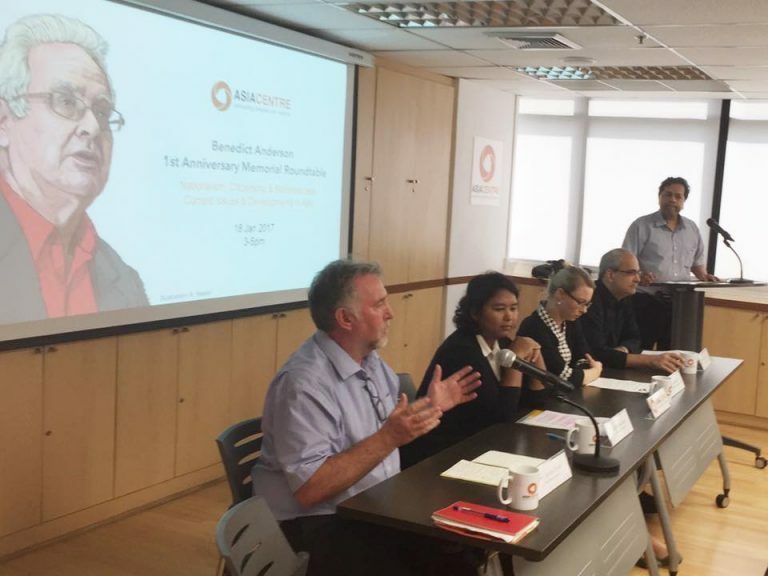 He noted analysis worldwide that showed the impact of marginalization and of religious-dissonance on the progression of youth from their regular lives towards extremist thoughts and sometimes violence. 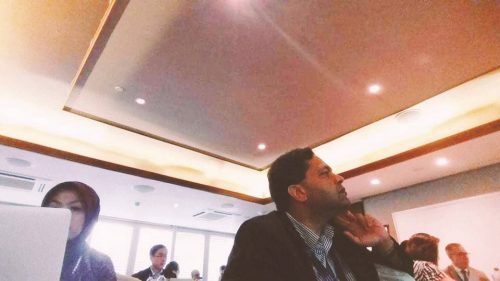 Research has shown that religious leaders can play a vital role in youths’ search for theological consistency in their particular environments and in critically thinking about their own faiths, especially in a world awash with fake news on the internet. Globally, the international community’s peacebuilding experience has led to calls for the integration of religious leaders in post-conflict peacebuilding and in sustaining peace. The mere instrumentalisation of religious leaders in support of liberal goals is seen to be insufficient for laying the foundations for peace. 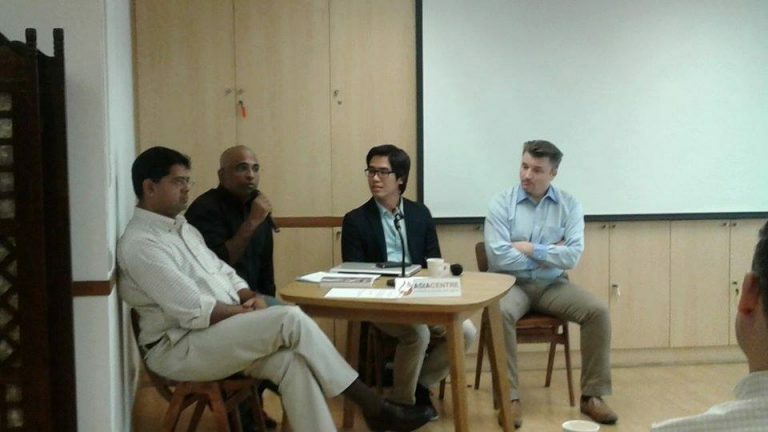 Asia Centre thus continues to engage in regional discussions and with emerging networks on FoRB in Southeast Asia. It aims to produce an updated regional analysis on FoRB in the Universal Periodic Review process as revealed in the third cycle. 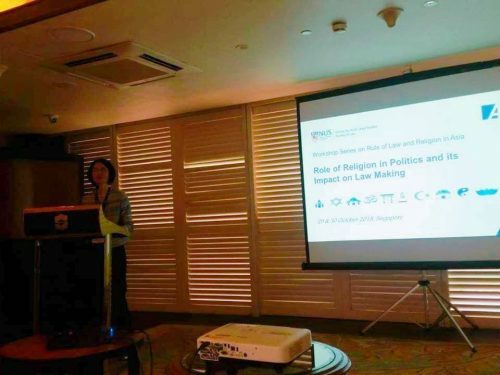 FoRB and fake news is also set to feature in the Centre’s conference on Fake News and Elections in Asia, to be held from 10 to 12 July 2019 in Bangkok. Email contact@asiacentre.org to submit abstracts or to partner for the conference.